The most important seat in a home is aptly described as the, throne. Located in the most important room of the house. There are at least 101 names for the toilet, or so I learned when I googled it. And if your toilet is clogged or in need of repair for whatever reason, you know just how important a toilet is… no matter what you call your toilet. If you’re in the market for a toilet upgrade then you should check out the new line of Delta Corrente Toilets! 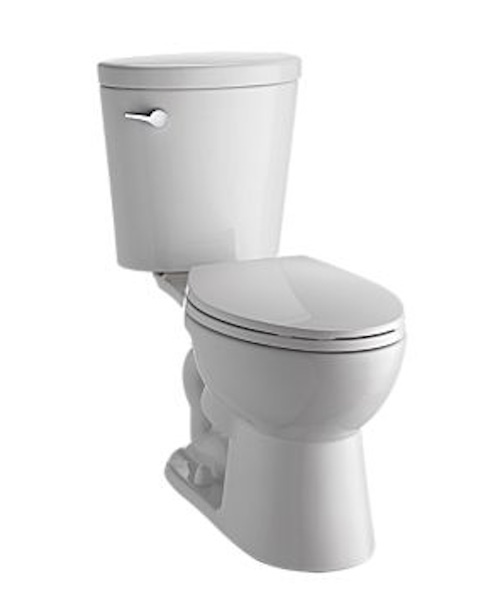 These toilets are sleek, virtually clog free, and feature a SmartFit connector to secure mounting components and help eliminate leak points. The new Delta Corrente Toilet comes with an EZ Out removal kit, which simplifies uninstalling your old toilet, and reduces the risk of damage to your bathroom in the process. The toilets are also WaterSense labeled as they use less water per flush, saving you up to $90 a year on your water bill. Now that’s nice. My husband is a DIY’er, so we love that the Delta Corrente toilet is an easy DIY easy weekend project. The Delta Corrente can be purchased on both Deltafaucet.com and Homedepot.com. Well, I hadn’t thought of it as the most important but once you start thinking about it. We are on it a lot and it is important. Good to know that this one works well and is easy to install. We so need a new toilet in the boys’ bathroom. Now, this is the perfect toilet for our house. The last one that my husband installed has lifted slightly from the floor and now is rusted around the bottom of it, also the chain broke several times since we have owned it and my husband just keeps “McGiver’ing” it back together… 🙁 No Bueno! They use less water per flush but they’re also virtually clog-free? Sold! I hope that we don’t have to replace our throne in our house for a while. If I do I want those fancy two system flush ones. Now if I can just find a toilet that will self clean I would be doing even better. Thank you for sharing Donna. we got our basement finished and didn’t think about the toilet they were putting in. We HATE it. I am going to look up where I can purchase one for our home. Our toilets really need to be replaced but it’s not something that I often think of. This is definitely the most important seat in the house for my husband. Thankfully, we just replaced a brand new toilet that was apparently defective. We really need new toilets in both bathrooms. But I would be afraid to DIY it. We need a new one in our powder room! I have a Delta faucet. My toilet works fine for now but in the future I would check out Delta when it needs replacing. I hate a nasty toilet. Love delta products! Delta faucets are awesome, so I assume their toilets must be pretty good too. A new one in my guest bath is on my to do list! Love the sleek design! Did you mention they are clog free and use less water per flush? Fantastic! We definitely need a new toilet in our kids bathroom. We’re in the middle of potty training so I’m SUPER grateful that ours aren’t in need of replacing right now. I must admit a lot of reading occurs while sitting on the throne. We’re moving into our ‘new’ home in a couple of weeks (new is a relative term, it’s new to us but it’s actually 26 years old), hopefully none of the toilets will need replacing, but if they do, at least we know these are easy to DIY.